Avalon wins 2016 FIM European Women’s Cup! Home / Uncategorized / Avalon wins 2016 FIM European Women’s Cup! Avalon wins the FIM European Women’s Championship a round early! After a great year racing in the 2016 European Junior Cup, run alongside World Superbike, 24 year old Avalon Biddle has secured the FIM European Women’s Cup title for the second year running. 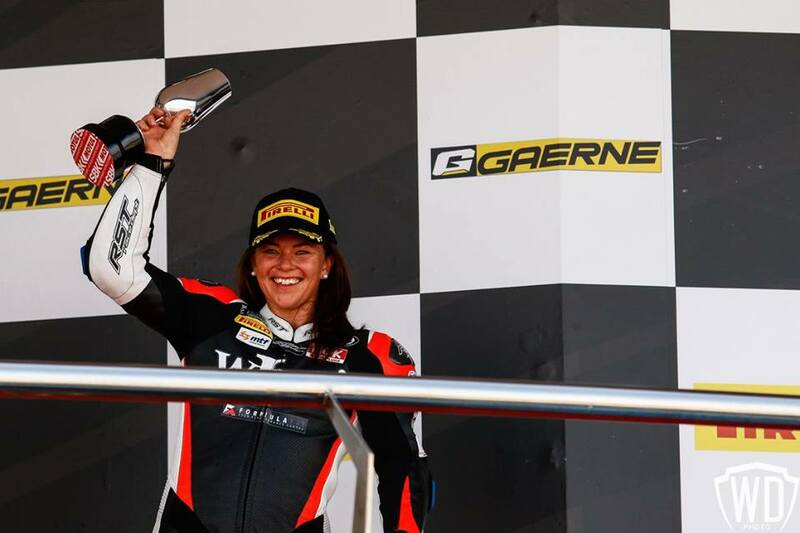 Dominating the Women’s Cup part of the championship by winning every race of the eight-round season, the kiwi girl cemented herself as one of the fastest lady racers in the world. A unique format is used for the European Junior Cup with 30 boys and up to 10 girls all racing in the same event, with points given for the overall top 15, and additional points given to the girls for a separate Women’s Championship run inside the Junior Cup. Unfortunately it was earlier announced that this will be the last ever year of the ‘EJC’ making miss Biddle the only ever female champion in this category run for the past two years. The class will be replaced by a 300 Supersport category in 2017 and beyond. The support from New Zealand and even throughout Europe was phenomenal and much appreciated by Biddle and her sponsors – aided by LIVE coverage of all races on Sky Sport NZ. ‘I want to say a massive thank you to all my supporters for everything this year! The racing has received a lot of publicity and it’s nice to see the sport being recognised by the general public. This season was made possible by: MTF Vehicle Finance, WIL Sport, NGK Spark Plugs Australia, Formula Fit, RynoPower, MNZ, Auckland Motorcycle Club, Spectrum Motorcycles, Carl Cox Motorsport Hyosung Cup, Pirelli, Sidi boots, Arai Helmet Europe, Ozzy Performance, Race Supplies NZ.